The Armchair Space Explorer series looks at ways people can learn about - and contribute to - the scientific exploration of space from the comfort of their own home or classroom. This annotated list of the projects and resources that let the public explore Mars is a work in progress, so let me know if you have any suggestions or comments. Early visions of Mars-that-was with its grand canals built by dying civilizations have given way to the arid, radiation-baked reality of Mars-that-is. The red planet still holds a place in people’s hearts both for the romance of a lost fantasy and for the modern dreams of creating a new home in the Solar System. Mars - with its canyons, volcanos, sand dunes, dust devils, and ice caps - echoes Earth in ways Venus or Jupiter never will. As a result Mars is the most extensively studied planet in the Solar System after our own. Right now a fleet of spacecraft from the United States, Europe, and India orbit Mars or drive across the Martian surface. Half a dozen other missions are either proposed or in development. The Mars fleet lets scientists produce amazing discoveries, but that privilege isn’t exclusively theirs. The following projects let amateurs help the professionals explore the red planet and even do their own research. Planet Four is a crowdsourced citizen science project that helps scientists study wind patterns on Mars. During the winter months a layer of carbon dioxide ice covers the surface. As summer approaches, the warming ground creates pockets of carbon dioxide gas beneath the ice. When these pockets breach the surface, clouds of dust burst into the thin Martian air. Winds carry the dust as it settles back down to the ice-covered surface to form fans and blotches. Planet Four’s volunteers map these fans in pictures taken by the Mars Reconnaissance Orbiter. The catalog of dust fans will let planetary scientists measure the direction and speed of winds near the surface - something even the rovers can’t do. Clickworkers was the original crowdsourced planetary science project. Created in the late 1990s by scientists at Nasa’s Ames Research Center and the University of Central Florida, the project recruited hundreds of online volunteers to map craters in images from the Viking Orbiters. The experiment's results found that the publicly-generated catalog turned out to be as accurate as professionally-created catalogs. Fourteen years later, Planet Four Craters continues that crater-mapping tradition, but with the much higher resolution of the Mars Reconnaissance Orbiter’s CTX and HiRise cameras. Planet Four’s citizen scientists will create a much more detailed map of Martian craters that planetary scientists can use to determine the age and geological history of the Martian surface. Mission planners working on Nasa’s upcoming Insight mission will use the results as they plan the lander’s seismological research. HiRise, the High Resolution Imaging Science Experiment, can resolve details as small as 30 centimeters across. Scientists use that detail to study the structure and changes of Martian features. But they aren’t the only ones who get to use HiRise. The University of Arizona created the HiWish program to let the public request their own images of the red planet. The requests must have a scientific justification, but it doesn't need to be detailed - studying landslides, for example. The HiRise team also lets the public use their HiView software to download, modify, and analyse Martian images. Making the most of opportunities like Planet Four or HiWish doesn’t require deep knowledge of Martian geology - but it helps. Fortunately, there are plenty of free resources to call on. Wikipedia (obviously) is a start as are the individual mission pages. Nasa’s Solar System Exploration site and third party sites like SolarViews and Nineplanets provide current facts and figures. Nasa's History Office has several resources that describe the space agency's pioneering missions to the red planet. The Chronology of Mars Exploration links to detailed reports about Nasa’s missions from 1964’s failed Mariner 3 through the 2016 Insight mission. The History Office's Viking mission publications will give you an idea for how far our understanding of Mars has come since the early days of the Space Age. “On Mars” is the official history of the Viking program from its early concepts in the 1950’s through the missions’ end in 1978. The Viking Orbiter imaging team published “Viking Orbiter Images of Mars” used selected images from orbit to “illustrate the diverse geology of Mars, and its atmospheric phenomena.” The Viking Lander imaging team did the same in “The Martian Landscape”. Links on Nasa’s Space Science Data Coordinated Archive’s Viking page provide even more information from those missions. For current news from the red planet, space news sites like Mars Daily and SpaceRef consolidate the latest press releases issued by Mars explorers. Check out ASU’s Red Planet Report and the Planetary Society’s Mars blogs for an insider’s perspective from planetary scientists and mission planners. 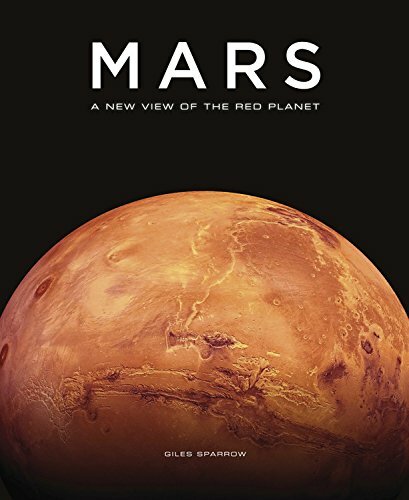 Mars: A New View of the Red Planet ($29 list) Available in June, science writer Giles Sparrow's Mars introduces the geography and geology of the red planet using the latest images from Mars. 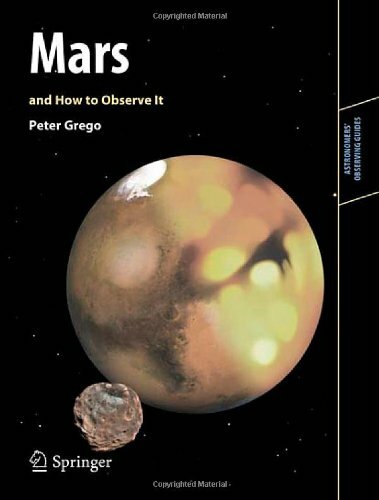 Mars and How to Observe It ($39 list) Peter Grego is an amateur astronomer and Lunar Section director at the Society for Popular Astronomy. In Mars and How to Observe It he explains how amateur astronomers can capture the red planet through a telescope visually and with digital cameras. This is Mars ($69 list) This photo journey across Mars uses the latest high-resolution pictures from Nasa's Mars Reconnaissance Orbiter. Reviewers say This is Mars is big, heavy, pricey, and breathtaking. 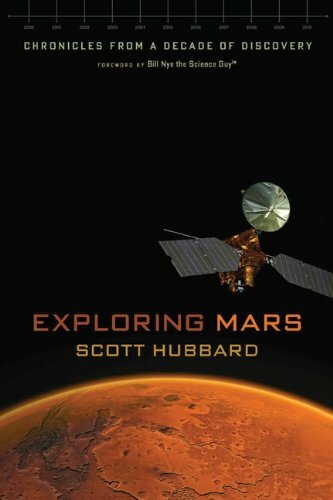 Exploring Mars ($18 list) Scott Hubbard, now a Stanford professor, was director of Nasa's Ames Research Center. In Exploring Mars Hubbard recounts his role as Nasa's "Mars Czar" in restructuring the space agency's Mars exploration program. Roving Mars ($26 list) Steve Squyres, principal investigator of the Mars Exploration Rovers Spirit and Opportunity, describes the engineering and science behind the plucky rovers. Mars Rover Curiosity ($29 list) As Chief Engineer for the rover Curiosity, Rob Manning had a front-row seat during the 7 minutes of terror and the scientific discoveries that followed. Along with co-author William Simon, Manning interviews the many scientists, engineers, and technicians who made the mission possible. Exploration and Engineering: The Jet Propulsion Laboratory and the Quest for Mars ($35 list) Erik Conway is the Jet Propulsion Laboratory's lead historian. He documents JPL's Mars program between the close of the Viking mission through the landing of Mars Phoenix in 2008. The Mars Project ($26 list) An English reprint of Wernher Von Braun's 1953 vision for the future of interplanetary travel. Written years before the Sputnik ushered in the Space Age, The Mars Project is a science fiction tale built around Von Braun's technical vision for space travel. 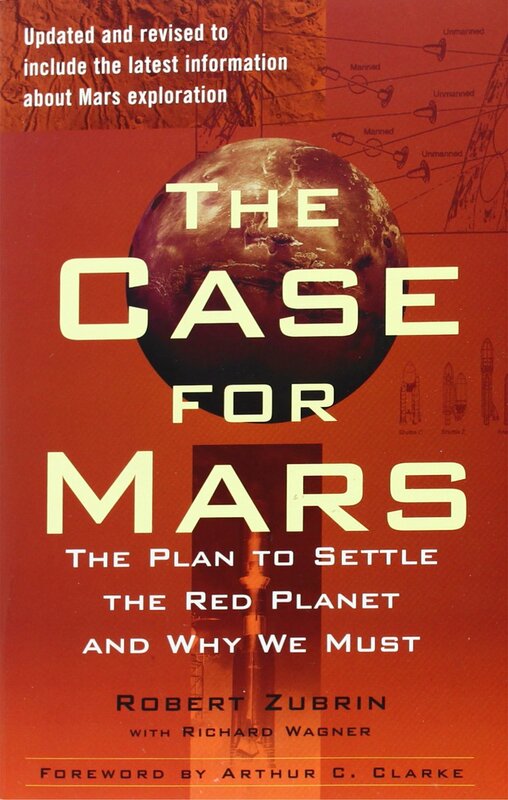 The Case for Mars ($17 list) Robert Zubrin challenged the Nasa paradigm - still largely shaped by Von Braun's ideas - for reaching Mars. Going directly to Mars and living off the land, Zubrin argued, would lower the costs dramatically. Zubrin's vision shaped all future plans for exploring Mars. Mission to Mars ($26 list) Apollo 11 astronaut Buzz Aldrin calls for the United States to lead humanity to settle Mars. In Mission to Mars Aldrin describes his visionary approach to making Earth-Mars travel both permanent and sustainable. 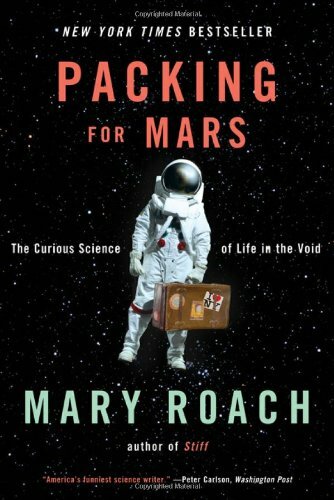 Packing for Mars ($30 list) Science writer Mary Roach takes her entertaining approach to describe the harsh realities of interplanetary travel and the technologies needed to keep future astronauts alive. 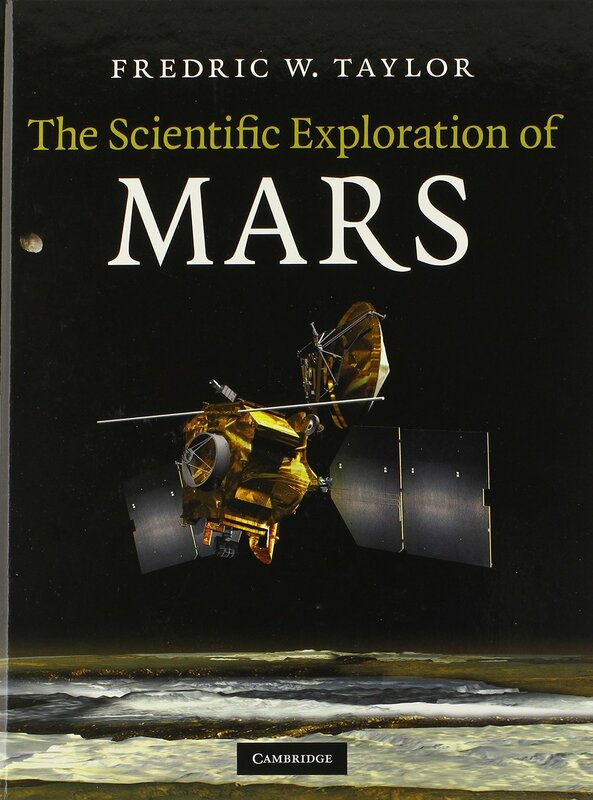 The Scientific Exploration of Mars ($69 list) Fredric W Taylor is the Halley Professor of Physics at Oxford University and spent a career at the JPL. 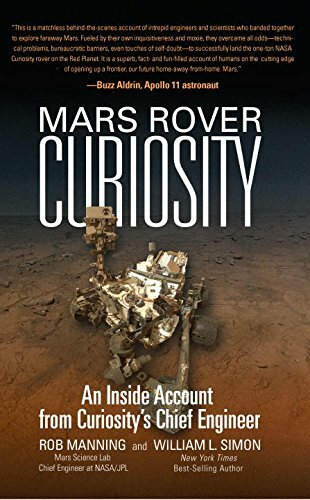 The Scientific Exploration of Mars reviews the history of Mars exploration, accessibly describes the latest science, and explains why future robotic and human missions are necessary. 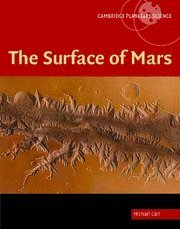 The Geology of Mars : Evidence from Earth-Based Analogs ($99 list) USGS scientist Mary Chapman edited this series of essays that compares features of Mars to similar structures here on Earth. 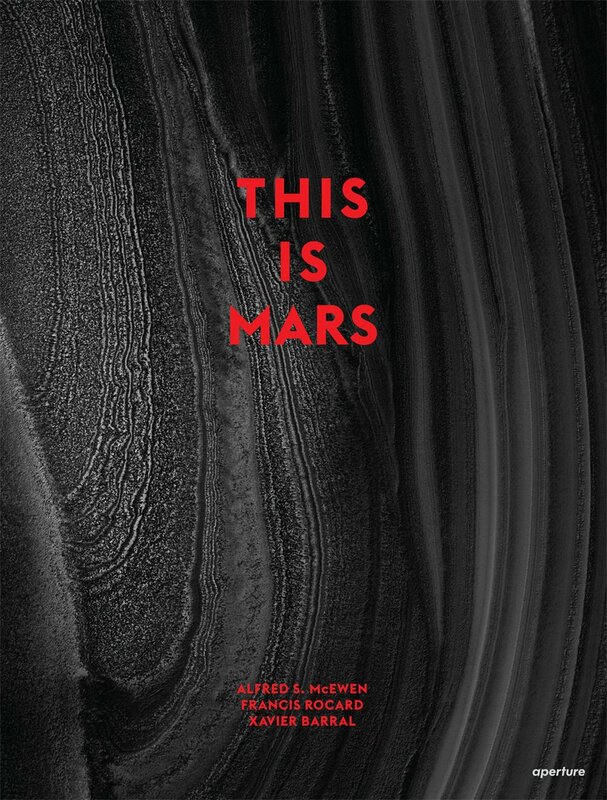 Mars: An Introduction to its Interior, Surface and Atmosphere ($120 list) Northern Arizona University planetary scientist Nadine Barlow wrote this interdisciplinary graduate-level textbook which includes science results through 2006. The Surface of Mars ($225 list) USGS geologist Michael Carr wrote this graduate-level summary of the latest science of the Martian surface (before the arrival of the Mars Reconnaissance Orbiter and Curiosity). There's only one truly cross-platform Mars mobile app - Nasa's Be A Martian. But you can still find the same kind of app from different developers on both major platforms... and Windows Phone too. Nasa and other space agencies regularly release images that help explain the latest discoveries on Mars. The space agencies’ press release archives aren’t easy to search, however, yet there are ways to find these images. As Nasa’s hub for the red planet, the Jet Propulsion Laboratory’s Mars site will be the first stop for images, videos, and other media from the space agency’s current missions. JPL’s Planetary Photojournal is a searchable archive of all press release images going back to 1964’s Mariner 4 mission. The Martian Meteorite Compendium is a collection of fact sheets that describe the 65 Martian meteorites discovered so far. It's maintained by Nasa's Astromaterials Acquisition and Curation Office, the home of Apollo-era moonrocks and other samples from across the Solar System. The International Meteorite Collectors Association wrote an overview of the Martian meteorites’ origins and structures. Esa’s Mars Express site distributes press release multimedia. The images and video links are current although some of the multimedia links haven’t been updated in several years. India's Mars Orbiter Mission site distributes the Indian space agency’s publicly released images. It only has ten images of Mars so far, but that should increase as the mission’s scientists complete their research later this year. Carleton College’s Science Education Research Center has a collection of Mars-related resources designed for undergraduate-level courses as well as primary and secondary schools. “Mars for Earthlings” provides resources to faculty who want to include Mars science in their undergraduate introductory geology courses. “Exploring the Geology of Mars using Mars Orbiter Laser Altimeter (MOLA) Data” provides worksheets and resources for integrating Martian altimetry data into geology courses. “Mars Landing Site Analysis Lab” lets undergraduates in entry-level GIS courses evaluate the scientific potential for various landing sites. “Discoveries from Mars” is a collection of resources designed to integrate the latest science from Mars into undergraduate geoscience courses like hydrology and sedimentary geology. Nasa Wavelength collects links to many of the space agency's educational materials. A search for “Mars” brings up 134 results ranging from primary school investigations into the search for water on other planets to high school-level mission design projects. Educators teachers can find additional Nasa support, from workshops to lesson plans, at the many mission sites. JPL’s central role makes its Mars education site a place to stop first. Mars for Educators consolidates links to teacher workshops and classroom materials. Mars for Students provides fact sheets and fun activities. Even with JPL’s central role, many education programs live with individual instrument teams. Besides the Mars Student Imaging Program, the ASU Mars Education group also conducts teacher workshops and distributes standards-based lesson plans. Maven is one of the few Mars missions not run by JPL. Its education team conducts after school and summer programs, such as Girls Go To Mars, at the University of Colorado Boulder campus. The Maven Educator Ambassador program conducts summer workshops that teach science educators the principles and applications of magnetism and spectroscopy. The Lunar and Planetary Institute and the Curiosity Rover’s ChemCam team conduct pre-service teacher workshops for undergraduates planning careers as science teachers. This summer’s Mars Through Time Workshop covers the history and science of Mars exploration. Europe’s space education programs are just as fragmented as America’s, but that’s due to national borders and language rather than Esa’s internal structure. The space agency has a few Mars-related classroom activities like “Images from Mars Express” available on its education site. Most of Esa’s education activities, however, are handled by its regional European Space Education Resource Offices. These provide teacher workshops and curriculum materials tailored for each nation. Australia may not have a dedicated space agency, but local institutions champion space education. Museums and universities created the Mars Lab to teach Australian students programming, robotics, and space science. Students in the 60 Minutes To Mars program learn how to control rovers across a simulated Martian landscape. The Mars Yard is hosted at the Powerhouse Museum in Sydney, but students across Australia control the rover from a distance - just like Nasa’s rover drivers. The Victorian Space Science Education Center has its own Mars programs. Students can take part in simulations of mission control operations and Martian surface exploration as well as control rovers in the VSSEC’s own Mars Yard in Melbourne. Arizona State University’s Mars Student Imaging Project takes that approach one step further and lets students control the cameras on spacecraft orbiting Mars. The MISP’s middle and high school students use the Mars Odyssey spacecraft’s Themis camera to take brand new infrared images of the Martian surface. They analyse the images using the same JMars software ASU developed for professional mission planners. In the process, the students do real science. In 2010 a team of seventh graders discovered pits on the Martian surface that may be skylight caves in ancient lava tubes. After spotting the pits in Themis images, the students used HiWish to get a more detailed view. Johns Hopkins University’s Applied Physics Laboratory developed the Mars Reconnaissance Orbiter’s Crism instrument. Its Student Planetary Investigator Program lets students and teachers request fresh observations from Crism to support their hands-on research project. They also learn how to tap into the vast stores of data Nasa has collected over the past fifty years of Mars exploration. All of these examples present the armchair Mars explorer with filtered views of Mars. Planet Four only focuses on the plains where dust fans form. The MISP only uses the Themis camera. And the press release images are just a small subset of the terabytes of Mars data sitting in space agency archives. Fortunately most of the data are open to the public - if you can find them. And if you can figure out the tools needed to use them. The easiest of these tools are simple extensions to tools we use every day - maps. Nasa relied on the US Geological Survey’s map-making experience to help plan the Apollo landings. USGS scientists have been mapping the Solar System ever since. The USGS Astrogeology Science Center publishes several maps of Mars. Google created Martian versions of Google Maps and Google Earth. The web-based Mars map uses images and data from the Mars Odyssey and Mars Global Surveyor missions. Google Earth’s global map of Mars was built from the Mars Reconnaissance Orbiter’s cameras. Narrated tours let you quickly visit prominent features and a Live from Mars layer loads the latest images from the red planet. Google Earth also documents the Mars Exploration Rovers’ travels across the red planet. The Jules Verne Voyager is a free online map tool that covers 20 planets and moons. Originally designed to help scientists visualize geological process across the Solar System, it has been extended to support classroom education. A map-making tutorial from Carleton College’s Science Education Research Center teaches educators and students how to use the Jules Verne Voyager. All of Nasa’s planetary missions must store their data in the space agency’s archives at the Planetary Data System. It gives scientists - and the public - a one-stop shop to download the data they need for their research. Public access, however, doesn’t make the PDS easy to use. It’s main purpose is to support scientists who conduct research rather than the curious public. Several organizations within the American planetary science community have developed tools to make searching the Nasa PDS easier. The USGS Planetary Image Locator Tool searches over 1.5 million images from Nasa’s missions to Mars. The Geosciences Node at Washington University supports the Orbital Data Explorer. The Imaging Node at the Jet Propulsion Laboratory supports the Planetary Image Atlas. Scientists at Arizona State University created LunaServ to quckly view the 200 terabytes of data received from the Lunar Reconnaissance Orbiter Camera. They extended the software so it now supports other planetary missions. LunaServ runs on Linux, but Mac owners who know what “installing dependencies” means can run the software as well. Although the online demo version only uses maps based on the Viking Orbiters, it can switch quickly between maps of the terrestrial planets and the larger moons of Jupiter and Saturn. Freie Universitat Berlin created the High Resolution Stereo Camera for the Mars Express mission. Since 2003 it has imaged 75% of the Martian surface in 3D. Its scientists created an online map to search for HRSC images. The USGS Mars Global Digital Dune Database contains data on the 550 largest dune fields on Mars. The data requires GIS software such as ESRI’s ArcReader and ArcMap.